My daily Geo-calendar reminds me to consider events in the evolving history of Earth Sciences. Yesterday’s little blurb on that calendar commemorated the birth of Vladimir Belousov (1907-1990), the Soviet-era geologist who stopped plate tectonics, at least in his country. Having the ear of the politically powerful in an autocratic society magnifies the authority of one’s opinions. Even errant opinions. Belousov was a member of the USSR Academy of Sciences and he organized the Laboratory of Tectonophysics. He was a well-place geophysicist. 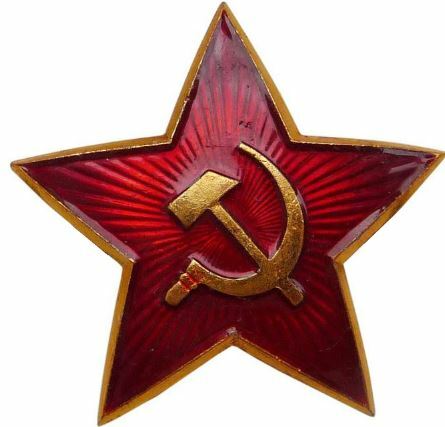 You might say his ideas regularly recieved the Red Star of approval. He successfully foiled Soviet advancements in geology for decades. Although acceptance of plate tectonics theory in North America stalled for 50 years after Wegener’s continental drift proposal, once scientists had the data and observations (in the mid-60s), the theory was very quickly incorporated into mainstream science. But in Russia, thanks largely to Belousov and a few of his cronies, plate tectonics was rejected through the 60s and even the 70s, even with the new evidence in its favour. Belousov visualized stationary continents and ambiguously allowed them to rise and fall, but not drift. His 1942 theory of density differentiation (ie., heavy stuff sinks) was not groundbreaking science, but it became the Soviet de rigueur explanation of the way geology works on a global scale. Only vertical motion was possible. Because of this preferred and officially sanctioned theory, Soviet scientists delayed accepting the idea of plate tectonics. Belousov believed that the new western theory could not correctly explain his old vertical movements theory – hence, continental drift had to be wrong. To me, Vladimir Belousov’s insistence that all new theories about the Earth had to fit within Soviet-sanctioned dogma is akin to the Intelligent Design/Creationist folks trying to fit all new scientific observations into the framework of pre-existing notions of how things should work. One can sustain the effort for a while, stretching and bending science to fit into an ever-less pliable mold (or simply rejecting bits of science that don’t fit the scheme), but eventually the whole thing snaps. One can play a Belousov role using autocratic authority for a while, but not forever. And so it is seen that religion need not always be at odds with science. But history has shown that ingrained, unyielding arrogance and conservatism of thought too often opposes free and unfettered inquiry. When troglodytic representatives of dogma gain power, the honest scientist has few safe options. Belousov hindered geological science with arrogant assuredness that forced his underlings to contort plate tectonics theory or reject it. They rejected it. But in the end, when lasers and GPS made measurements of the actual incessant continental movement, the theory was confirmed and Belousov’s Stalin-era theory was dust-binned. This entry was posted in Culture, History, Non-drift Theories, Religion and tagged Belosouva, continental drift, Earth Sciences, evolution, history, plate tectonics, Russia. Bookmark the permalink.